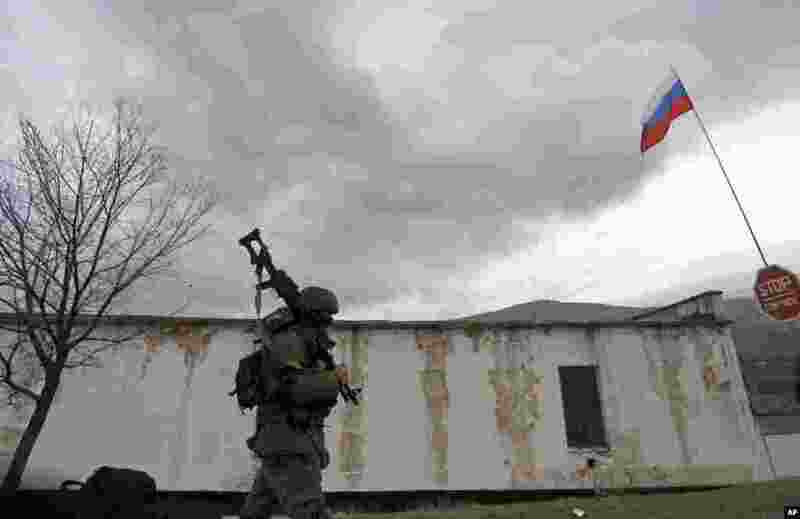 ۱ Russian soldiers fire warning shots at the Belbek air base, outside Sevastopol, Ukraine, March 4, 2014. 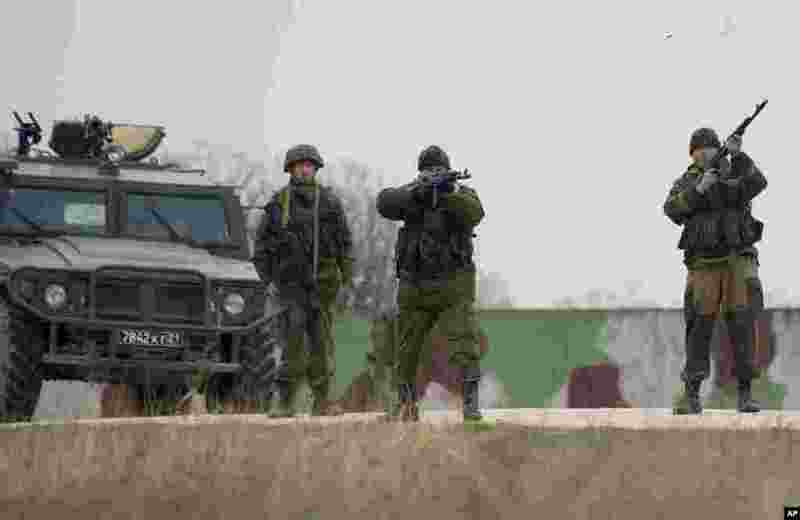 ۲ Ukrainian officers arrive for talks as Russians guard at the Belbek air base, outside Sevastopol, Ukraine, March 4, 2014. ۳ A Russian soldier marches as he and comrades block the Ukrainian infantry base in Perevalne, Ukraine, March 4, 2014. 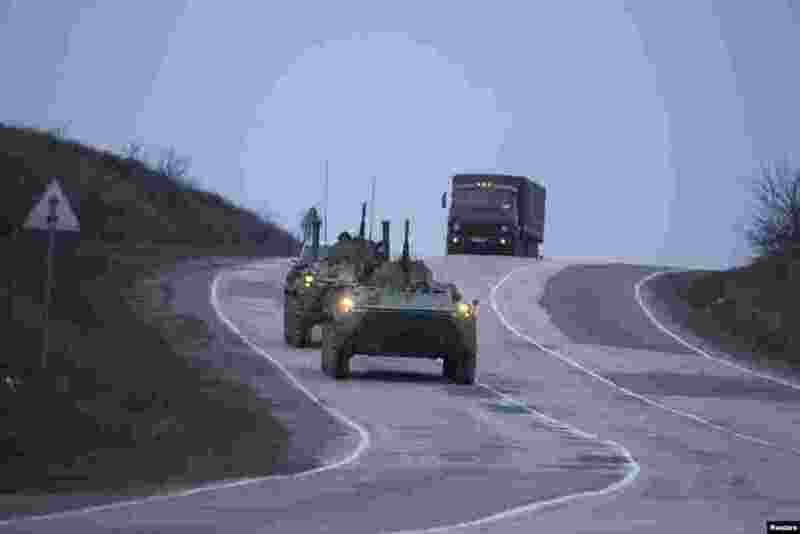 ۴ Russian military armored personnel carriers drive from Sevastopol to Simferopol, Crimea, Ukraine, March 4, 2014. 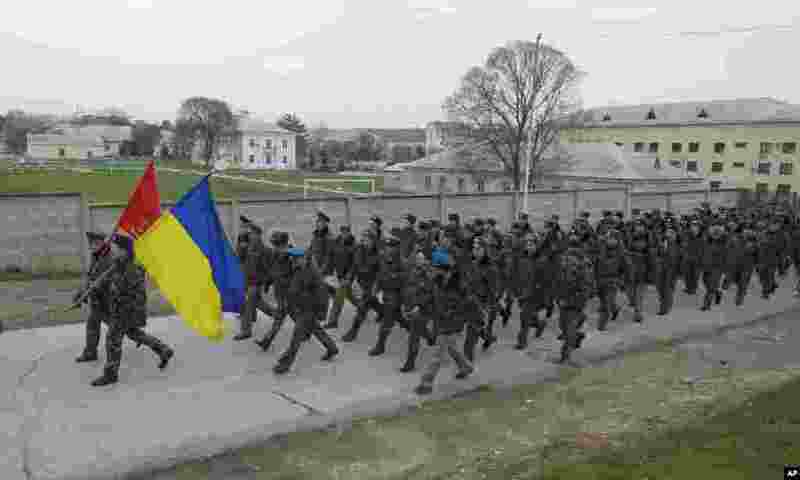 ۵ Ukrainian officers march at the Belbek air base, outside Sevastopol, Ukraine, March 4, 2014. 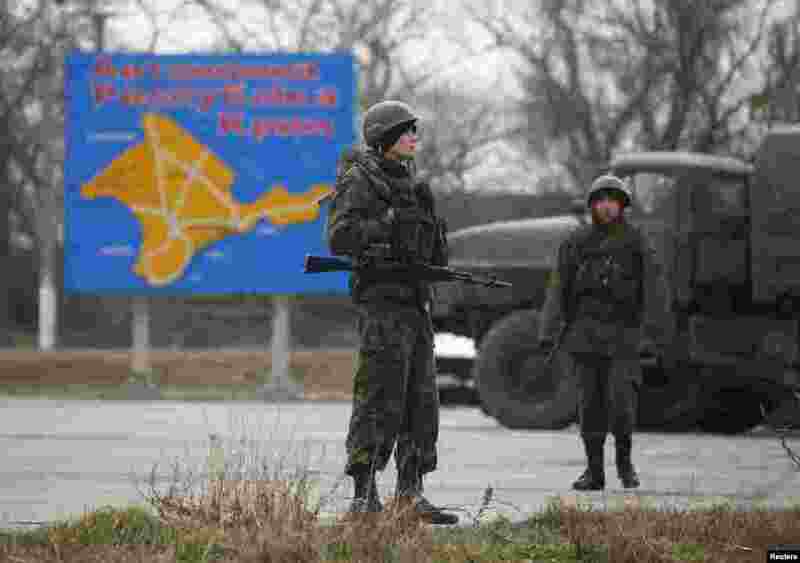 ۶ Russian servicemen stand on duty near a map of the Crimea region near the city of Kerch, March 4, 2014. 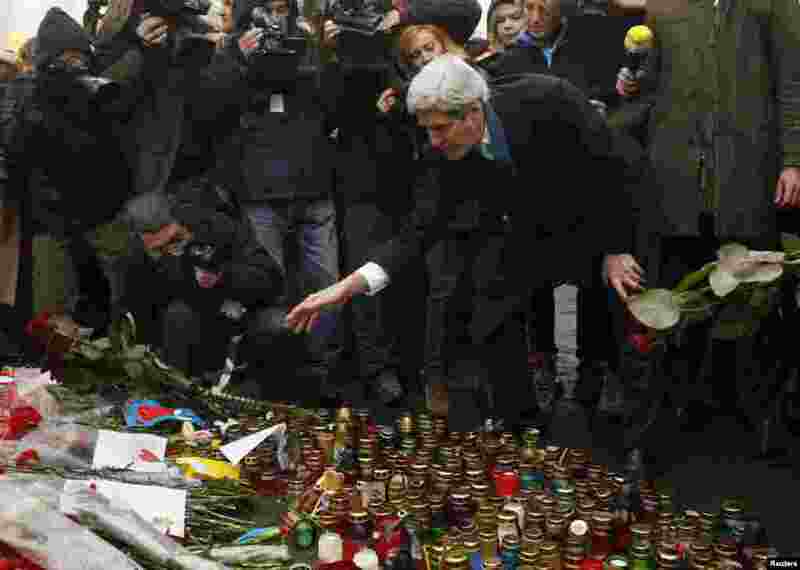 ۷ U.S.Secretary of State John Kerry lays roses atop the Shrine of the Fallen in Kyiv, March 4, 2014. 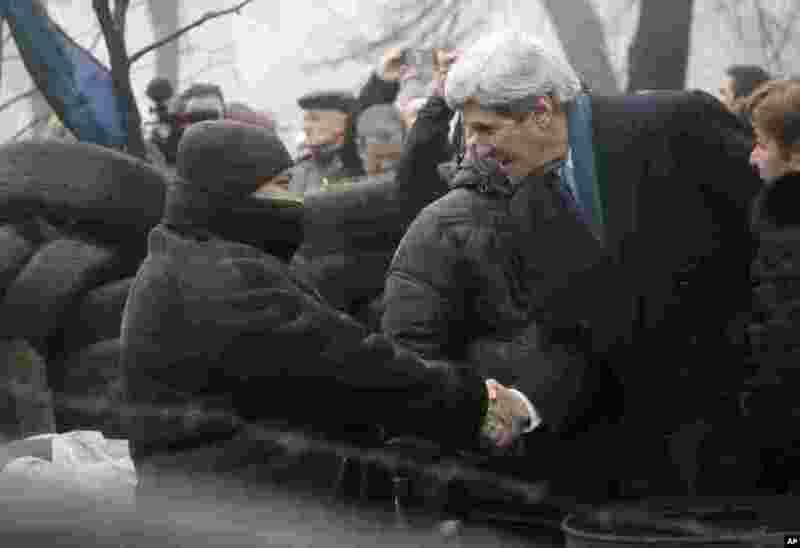 ۸ U.S. Secretary of State John Kerry shakes hands with a protester at the barricades in Kyiv, March, 4, 2014.